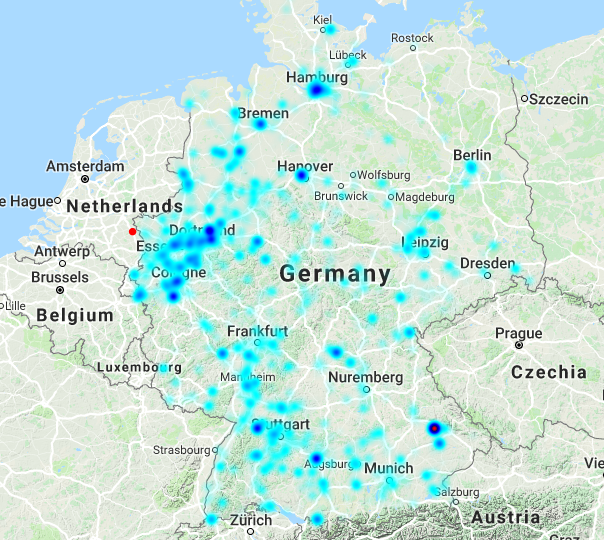 The blue dots represent shipments made from the Netherlands and Belgium towards Germany. The intensity of the blue dot represents how often a shipment is made to a certain area. To get an idea, the darkest dot represents 300+ shipments a year. The Red dot represents a cross dock facility that can be used. All of these shipments are LTL shipments, from 2 to 8 loading meters. What transport network would you try to create for the certain area's? - Cross-docking or direct shipments? I know this is a lot for the mind but I'm just looking for some insights. All times are GMT. This page was generated at 17:14.